As the year comes to an end, the wish of a bunch of adorable cats is to find a warm home of their own. Furry kittens in cage waiting for adoption, their wish is to find a warm home of their own. Have you fulfilled your goals and dreams on your wish list for this year? As the year comes to an end, the wish of a bunch of adorable cats is to find a warm home of their own. 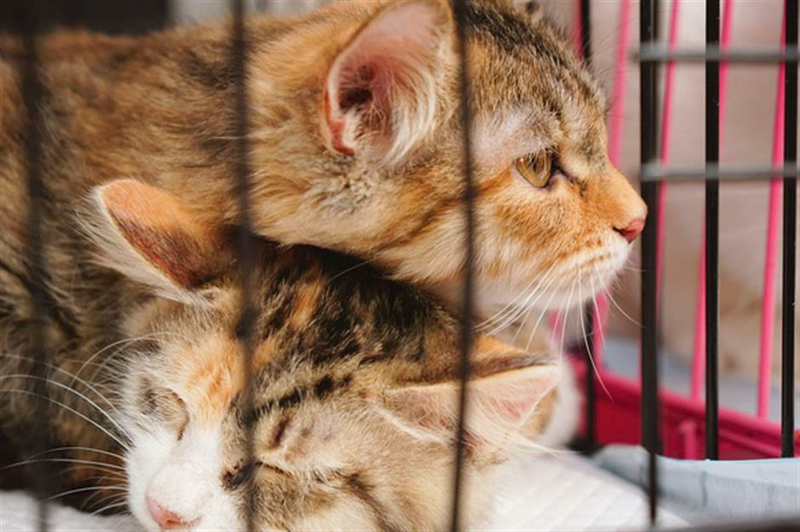 Next Saturday, an adoption drive for stray cats will be held in Shanghai. The monthly event, held by Dog & Cat Union, a non-profit organization in Shanghai, will have volunteer veterinarians and a charity bazaar. All money raised will go toward helping stray animals. Most are among the few lucky ones saved by animal lovers from thousands of unwanted pets abandoned onto the streets by their owners each year. So make a difference by giving these pets a home away from the winter chill and lavish them with love and care. Dog & Cat Union strives to promote the idea of adoption rather than buying animals. Depending on their age, most of the cats are already spayed or neutered. Cat lovers who cannot keep one can also attend the event and have a look at those little furry balls to warm their hearts on a cold winter’s day.